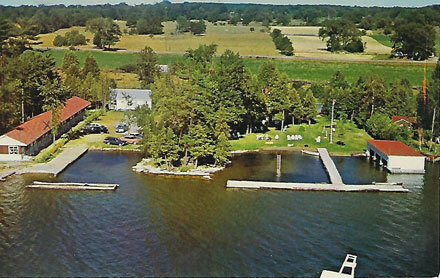 Balsam Lake is one of the largest lakes on the Trent-Severn Waterway. Located as it is on the highest point on the Waterway, its clean water and easy access to Toronto make it one of the most desirable lakes in the Kawarthas. The lake itself is approximately 16 kilometres long, and has four large arms, with the very large Grand Island situated in the middle of the lake. If you're thinking of purchasing cottage property or a home in the Balsam Lake area, you'll be pleased to know that real estate options in the area are diverse. The shoreline is dotted with interesting cottages of all sizes. There is a distinct trend towards full-time usage of properties on Balsam Lake, whether for year-round living or weekend getaways. Luxury cottages and homes are common, and smaller Balsam Lake cottages for sale are often purchased, torn down and rebuilt to the new owner's specifications. There still remain many older “character” cottages which date as far back to the 1920s. These special properties exude a romantic charm that cannot be replicated, and are often situated on the best waterfront. If you're interested in purchasing real estate property on Balsam Lake, you have plenty of options to choose from, but be aware that properties usually sell quickly in this sought-after destination in the Kawartha Lakes region. Strong demand fuels high prices. 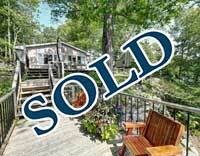 Real estate properties on Balsam Lake don’t turn over often as they tend to stay in families. And when cottages on this lake are listed they usually sell quickly. As a result, cottage prices are some of the highest in the Kawarthas. Significant investment along the waterfront has taken place over the past two decades, with many smaller, older cottages torn down in favour of modern, four season cottages. When it comes to re-building, green building techniques and advanced environmental technology are priorities for contemporary owners here. Big, four-season cottages line the waterfront. Given the considerable price of real estate, there are plenty of high-end, four-season cottages and all-the-bells-and-whistles lakeside homes. As large boats are popular here, many of the lake properties also boast substantial boathouses. Government and property owners alike want to protect the lake as a natural resource. Stringent government regulations to safeguard water quality and maintain the shoreline have helped to protect the lake as a natural resource. Today’s Balsam Lake property owners have made it a priority to take care of the lake for the enjoyment of future generations; they welcome legislation that will help them achieve this goal. In contrast to lakes further to the north, Balsam Lake cottages are generally accessible by road and are not difficult to reach in winter. Conservation Areas: One of the most appealing qualities of the Balsam Lake area is the largely untouched green space that surrounds it. Conservation of the lake as a natural resource is important to the surrounding community – everyone wants to preserve its natural beauty for future generations and as a result, they strongly support protective regulations that help them achieve that goal. Thanks to this general attitude and dedication, Balsam Lake cottage properties have some of the nicest beaches in cottage country. Provincial Parks: Fans of the outdoors will not only love spending time lounging on the shores of Balsam Lake, but also exploring the two nearby provincial parks: Balsam Lake Provincial Park and Indian Point Provincial Park. 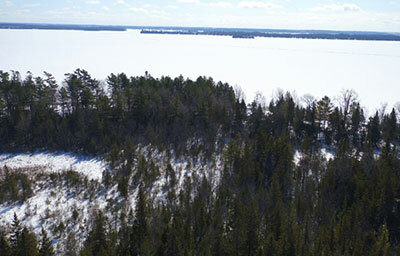 Balsam Lake Provincial Park offers all-season recreational opportunities. Take in the gorgeous wildflower blooms in the springtime, and stick around for the ample summertime activities including swimming at the beach, hiking to the lookout tower, fishing, sailing and windsurfing. Everyone knows cottage country is beautiful in the fall, and the changing leaves around Balsam Lake are no exception. Camping & Fishing: On the north end of Balsam Lake you’ll find the tranquil Indian Point Provincial Park, which features one of the longest undeveloped shorelines in the Kawartha Lakes. With no camping, services or facilities in the park, it’s the perfect place to get away from it all and connect with nature. Park visitors love taking in the diverse greenery and variety of tree species including cedar, white birch, white spruce, white pine, oak and maple. Indian Point Provincial Park is also an ideal spot for avid fishers, with excellent fishing for bass, walleye and muskie. 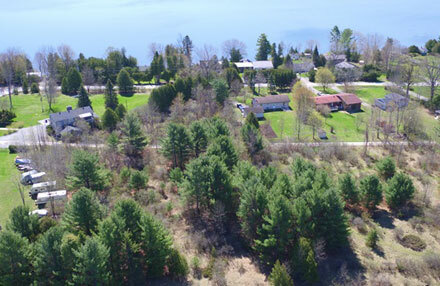 It's not all about laidback waterfront cottage living around Balsam Lake, although that is certainly a large part of its appeal. Several popular villages are located in close proximity to Balsam Lake, offering plenty of amenities for all preferences and tastes. Fenelon Falls, Coboconk, and Lindsay are nearby, all boasting quaint shops, cafes, dining options and fun activities the whole family can enjoy, no matter the time of year. All our agents live full time on the waterfront in the Kawartha Lakes. If you are looking for a Balsam Lake cottage or real estate property for sale give Kawartha Realty a call to help you navigate through your best real estate options and pricing. We will also keep you up to date with the latest real estate and cottage trends. Contact our team at 1 (877) 992-9927 or email us for more info on Cottage Properties.